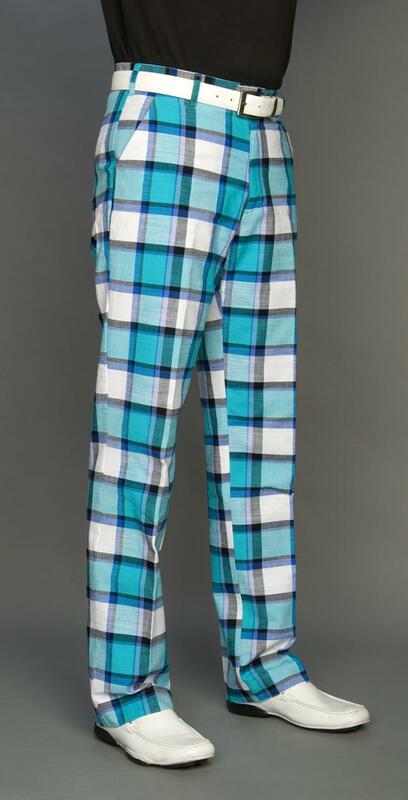 Loudmouth Golf new sizes for men’s big and tall pants now go up to 56″. All big and tall stock is now in and ready for immediate shipment at CEOgolfshop. These pants are in sizes up to 56″ waist with unfinished hem option: Aloha Girls, BarCode, bushwood, Cherry Bomb, Disco Balls Black, Disco Balls White, Hot Dog, Oakmont Houndstooth, Raspberry SureBet (argyle), and Shagadelic Black. A-Tisket-A-Tasket, Blue & Gold, Bubblegum, Carnivale, Derby Chex, Dixie, Evel Jeans, Margarita, Maui, Mojo, Orange & Blue, Orange & White, Pazeltine, Pole Position, Purple & Gold, Red & Gray and Shagadelic White. 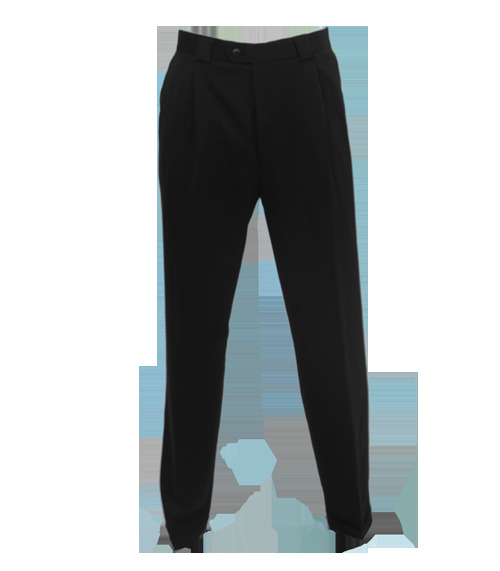 Pretty Boy, Sand Trap are up to 46″ waist with unifnished hem option. Shagadelic Green is up to 42″ waist with unifnished hem option. 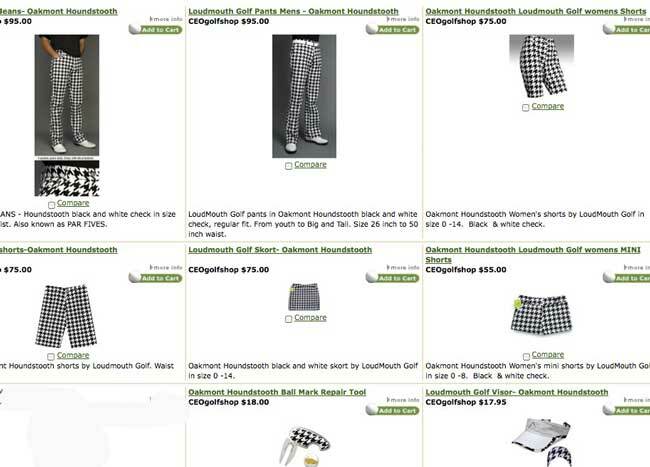 The entire Loudmouth Golf line is offered at CEOgolfshop.